It’s hard to fit all types of commercial moves into one single category as relocating a small office and a hotel will be absolutely different. The approach to moving various types of businesses is selected individually by pro companies. Organization of the move and its planning should start long before the desired date. It will let you prepare the staff and everything inside of the building. Every commercial move is different and there are no two identical cases in Newport Beach. However, there are a few things that are common for everyone. It’s good to hire local movers as you will save money. Plan you move and make a detailed list of things you have. And don’t forget to view the feedbacks about the company you choose. We’re a local commercial moving company in Newport Beach. A great experience in moving offices, hotels, hospitals, stores and other businesses allows us to provide the best services. We know how to meet the needs and expectations of the clients and choose the most suitable pricing. There’s no hourly rate for the commercial type of the move. Individual approach. There’s no single solution for all commercial types of the move. You hire pro packers and movers that will plan their actions individually for you. A fixed cost estimate. We discuss the details of the move, select the date and the number of people required. And we tell you the price. Pro packers and movers. Each member of a team is educated to deal with heavy items, various types of equipment and furniture. Reliable trucks. You can have from one to as many as you need 24 ft trucks. They will transport your things around Newport Beach. License. We’re a pro moving company that provides services under s license. Movers can work in Newport Beach and on the whole territory of CA. Insurance. You get all your things and equipment insured. Movers guarantee safety and security of each item that is moved. Looking for the best services for an affordable price in Newport Beach? We’re here to assist you. What we think is a good idea is calculating the cost of the move before we start our work. We give you a quote and we take care of the whole relocation from start to finish. Such an approach allows us to guarantee safety of your equipment, furniture and other things. 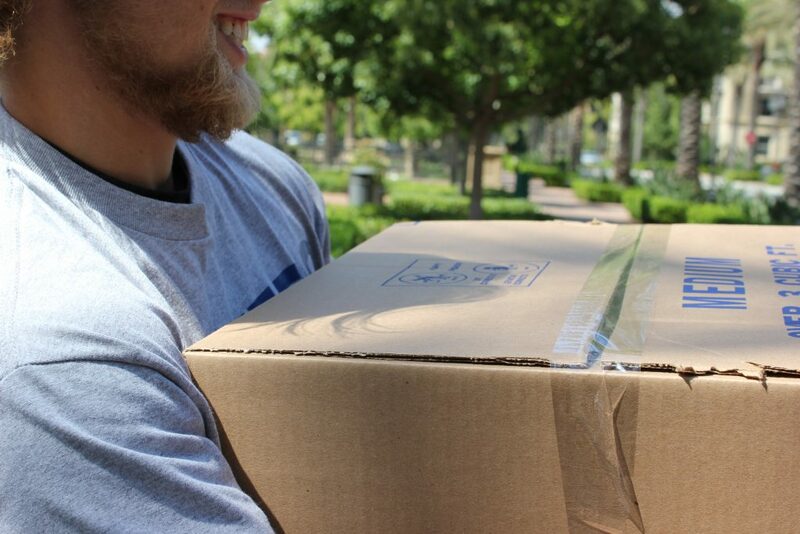 It’s easy to hire our movers. We have a simple online form for calculating the cost of your move. Experts view the answers and they can discuss all the details regarding the commercial relocation with you. There are four fields to fill in, so it will take a little time to do this. So fill in the form and we’ll get in touch with you to plan your move.